Achmad is responsible for identifying and analyzing market requirements for ASSET360-based products and solutions. Prior to joining Atonix, he held market and product strategy positions at Mimecast, Barracuda Networks, Dell, and Siemens. 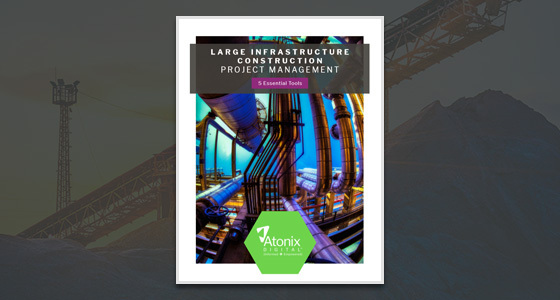 Given the unique demands and constraints that define large infrastructure project management, it's no surprise that success demands that project managers make use of an arsenal of software tools. That's because project management is more like several jobs than a single one.